If you’re even a casual TV watcher, you probably have seen some of the new ads Microsoft has been showing lately. A few months ago, they decided to start a campaign in response to the “I’m a Mac, and I’m a PC” ads that Apple was putting out (you know the ones: “if you’re hip and cool, you’ll buy a Mac, and if you want to look like, you know, that guy, then by all means, buy a PC”). 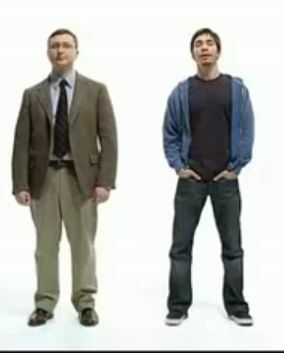 The Microsoft campaign was designed to show real people (like you, hopefully) that choose to use a PC over a Mac. In the process of those ads, they ran into a little girl named Kylie, who said she was 4 years old, and was able to use a PC. Suddenly, without knowing it, the marketing monkeys at Microsoft realized that they struck gold with this kid. Soon therafter, we started seeing more and more commercials of Kylie doing what she does best: doing cute stuff with Windows and being adorable. Recently, they put out an ad with her making a slide show telling about all the great reviews Windows 7 has been getting. The video is posted below. This ad is pure genius, and I’m not saying that because I’m a PC. I’m saying it because it touches on a large audience of people and uses some great psychology to do it. Let me count the ways. First, you have a little girl, who bubbles with personality and seems to be able to use a PC running Windows Vista. Whether or not she is actually making these slideshows is up for speculation, but the commercial basically tells you “hey, if this 4 year old can use it, so can you.” If you buy into that, then its a lot more appealing to you. 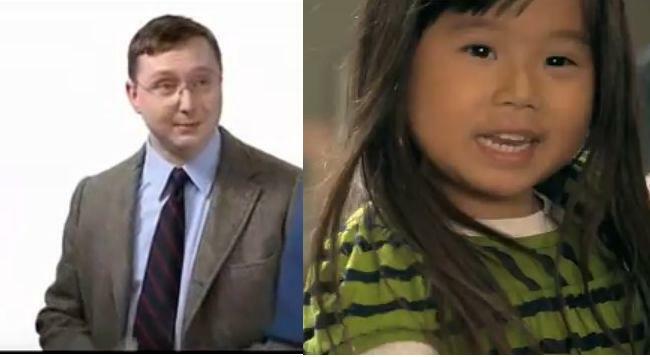 Oh, and she’s a cute kid, which is a win for middle to upper class consumers, married couples and females. Second, the slide show shows cute fuzzy animals wearing hats and other stuff. More cuteness. More awesome. Who puts cute fuzzy animals in their slideshows? The fact that she did (and she’s 4 remember), and did it with cute animals is just cool, because nobody does that (at least not in my circle of friends, anyway). Third, is that the theme music to the A-Team I hear in the background? This is a clear appeal to anyone over the age of 30, specifically the 30-40 year old demographic. Young professionals will recognize the music, and remember a time when Mr. T was calling people “sucka” and had to be drugged with sleeping powder in order to fly on an airplane. Fourth, the slideshow shows what the commercial was really getting at: reviews of Windows 7 by reputable sources that say its good. Cute as Kylie is, you won’t believe Windows 7 is good if she tells you its good. You might believe it if someone reputable said it. Additionally, the information is presented in cutesy animal format. If they just had an ad that was like a car commercial, we’d change the channel (Male voice: Consumer computing says, “Its fully awesome!”). Finally, it removes the stigma that only total losers and geeks are PC users. Kylie’s a PC, so its suddenly OK to be one too. And how is Apple supposed to respond to this? How do you make fun of a little girl and not look like a big meanie? Now what does all this have to do with psychology? Everything! All of the imagery, music and words spoken are designed to envoke a feeling within the consumer. From now on, I don’t associate the A-Team theme with the TV show, I associate the music with Kylie’s slideshow. This is a clever way to create an association between the music and the ad. So what does this all mean, and why the heck am I talking about it? After all, I’m a guy trying to help people, and reviewing a Microsoft ad probably isn’t the way to win any popularity contests. My point is, presentation has just as much to do as the message itself. This plays true for virtually any area of your life that is beyond your control (the Outside World). Microsoft can’t control how many people will buy Windows 7. They can control their presentation of it, and what it means to the consumer who buys it. They could have just told you the message, but they had to get your attention so you would listen to the message. It doesn’t matter how great your message is, if it falls on deaf ears, then the message fails. Same goes for you. You may be looking for employment, but if your presentation sends a different message then you may have a problem getting a job. If you are looking for a relationship, but present that you’re weird and unapproachable, you’re sending a mixed message. If you want to be seen as professional in your blog or online business, and your website looks like it was made in the early 1990’s (you know what I’m talking about: Arial font, animated gifs, and bad layout), then people may not take you seriously. Are your kids acting out because you say one thing and then do another, thereby sending them mixed messages? This goes back to openness and awareness. While you can’t change others’ WATER, you can be aware of it. This awareness can allow us to change what we do to connect with others in a dynamic way. So consider the message that you’re trying to send to everyone around you. Are you being as effective at presenting your message as Microsoft is in presenting theirs? Or are people getting confused because you’re not being clear? Does your presentation match up to what you’re trying to say? If so, share your story. If not, how’s that working out for you? By the way, we haven’t seen the last of Kylie. Not by a long shot. Until she stops being cute, or people stop listening, she’ll probably be making more stuff with Windows 7 soon. Pay attention when she does, because there is a team of monkeys working on how to make the message and presentation another home run. I think Apple should make a commercial with a cute little newborn making production quality movies. that would be a good comeback. Yeah, having a baby would probably do it. At what point are we using children to advertise vs. exploiting them for a cuteness factor for profits? Certainly an interesting discussion.